A Star is Born is a story that Hollywood keeps revisiting, a romantic drama about the upward trajectory of a young ingenue and the downward spiral of her older lover/mentor. Bradley Cooper seems like an unlikely source for an update of this well-worn tale but here he makes his directorial debut as well as starring alongside Lady Gaga, who steps into a part previously played by Janet Gaynor, Judy Garland and Barbra Streisand in her first major film role. 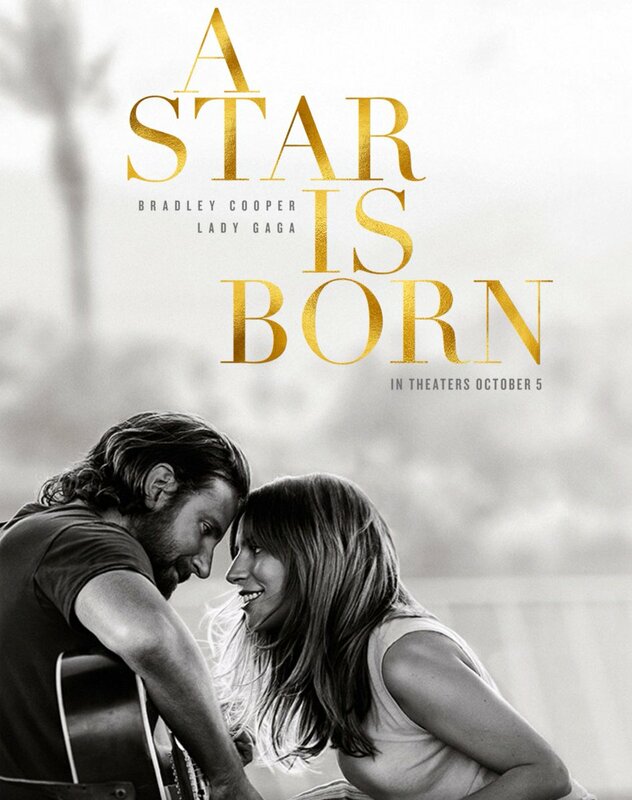 On paper, this combo is far from a sure thing but both Cooper and Gaga rise to the new challenges laid before them and turn the classic melodrama into something intimate and soulful, a thoughtful look at the highs and lows of fame and the struggle to stay ‘real’ in the face of it all. This is what motivates Cooper’s Jackson Maine, an aging rockstar whose drinking problem and ever-worsening tinnitus are beginning to take their toll. It’s his drinking that leads to the film’s extended meet-cute sequence, as Jackson stumbles into a drag bar looking for another drink. Taking the stage is Ally (Gaga), a young woman who, unlike the drag performers, sings for real and can really sing. Jackson is instantly smitten and convinces Ally to go for a drink with him. One drink turns into two and they carry on through the night, winding up in a supermarket car park where they talk and flirt and begin to fall for each other, sharing secrets and eventually Ally sings for Jackson, an original song that she comes up with. Jackson is so taken with her, that he practically drags her on stage at his next massive, sell out concert to sing a duet of the song she played for him. Ally is reluctant at first but before long she’s belting out a goosebump-inducing rendition of Shallow – the film’s central banger that you probably already know by now – and lo, a star is well and truly born. The crowd loves her. Jackson loves her. Hell, we love her. For its first hour or so, A Star is Born is irresistable cinema, both a swooning romance and a compelling underdog story as Ally rise through the ranks of stardom and Jackson seems to find a new lease of life alongside her. But after that exhilarating first half, the film gets down into the nitty gritty, shifting focus away from Ally and more onto Jackson, delving into his familial problems, alcoholism and drug abuse. Cooper manages the gradual tonal shift well but it’s impossible to avoid this second half feeling like a huge comedown after the ecstacy of the film’s earlier scenes. Cooper impresses in his first time behind the camera for sure but his biggest triumph here is in front of the camera, delivering a heart-wrenching, career-best turn, particularly as the focus largely rests on him in the film’s third act. At that point, Lady Gaga is left slightly adrift but her performance is every bit as exceptional. She manages to convince us that she – one of the biggest stars on the planet – is an unknown waiting for her shot at the big time. Obviously this is a role that largely plays to her strengths, but it isn’t as simple as showing up and belting out songs; she gives an honest and compelling performance that makes full use of her considerable star power. How Cooper’s version of A Star is Born stacks up against the others will always be up for debate – most see the 1952 version starring Judy Garland and James Mason as the gold standard – but on its own merits, this is a soulful and affecting take on the story. It’s a melodrama for sure but it’s also grounded and honest, presenting a couple whose deep connection and intertwined destinies is headed to an inevitably tragic place. Cooper and Lady Gaga shine, both individually and as a couple, selling us on the romance at the centre of this lavish, crowd-pleasing tearjerker.